Not everything out there is red, orange and yellow! 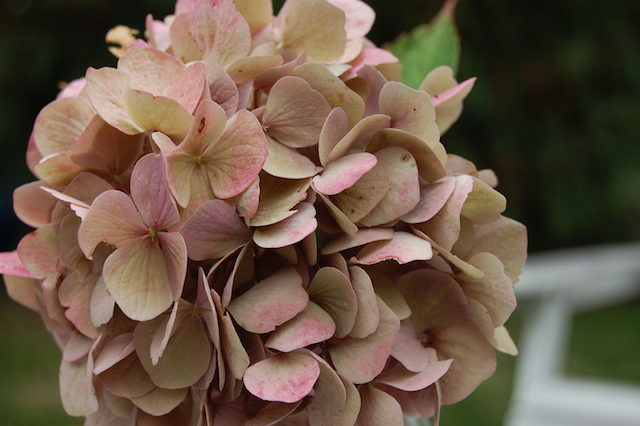 I've always loved the fading colours of hydrangea in the Fall. They can change several times over the months and have the most amazing antiqued colours in pinks, blues, creams and greens. One day I'll learn to paint them... for now, here's a photo!